Change involves learning, and change management requires leadership skills coupled with a firm grasp of the dynamics of learning. An experienced Lean Leader often becomes the change agent and forecaster as well as the navigator for a company that is committed to following current trends and adapting to a changing marketplace. As we discussed last week, any type of cultural transformation is a new learning experience for the entire management. 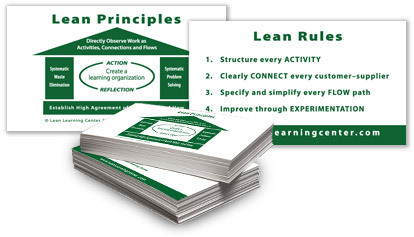 With the Lean Leader guiding the process of creating a Lean Transformational Road Map that incorporates Lean principles and practices of hypothesizing, experimenting, testing, reflecting and sharing, the transformational process can be seamless. Learning professionals must be innovative learners, writes Elliott Masie, editor of Learning TRENDS and head of The MASIE Center, a Saratoga Springs NY learning and knowledge think tank, in a November 6, 2016 CLOmedia article, “Learning Professionals Must Be Learners.” We can add to this by stating that learning professionals must also be innovative leaders. A competent leader guides the rest of the management and staff in creating a cultural transformation as a learning adventure that requires exploration and experimentation with new technologies. When implementing new strategies or procedures, one of the most important attributes of an expert Lean Leader is the ability to skillfully blend valuable aspects of the existing corporate culture with management’s suggested changes. To ensure a smooth transition, the leader will choose the right learning tools in advance and utilize these tools to map out the integration process. In the May 2016 issue of CLOmedia.com, John Mattone, executive coach and co-author of Cultural Transformations: Lessons of Leadership and Corporate Reinvention, lists some of the strategies a CLO should consider in order to guide their company through the transformative process. To illustrate possible challenges, Mattone cites the example of Virtusa, a business consulting and information technology outsourcing company that was in the process of acquiring Polaris Consulting, a company based in India. In order to achieve a smooth transition, Polaris’s Senior Vice-President and Chief Learning Officer proceeded to objectively determine which strengths of both existing corporate cultures could be effectively combined. “Along the way,” says Mattone, “the CLO must also identify new learning objectives and oversee any new development or coaching initiatives to get everyone up to speed. Change management is both a skill and an art. Mattone, John. “The Great Culture Transformation.” CLOMedia.com, May, 2016. How important is a manufacturing apprentice program?